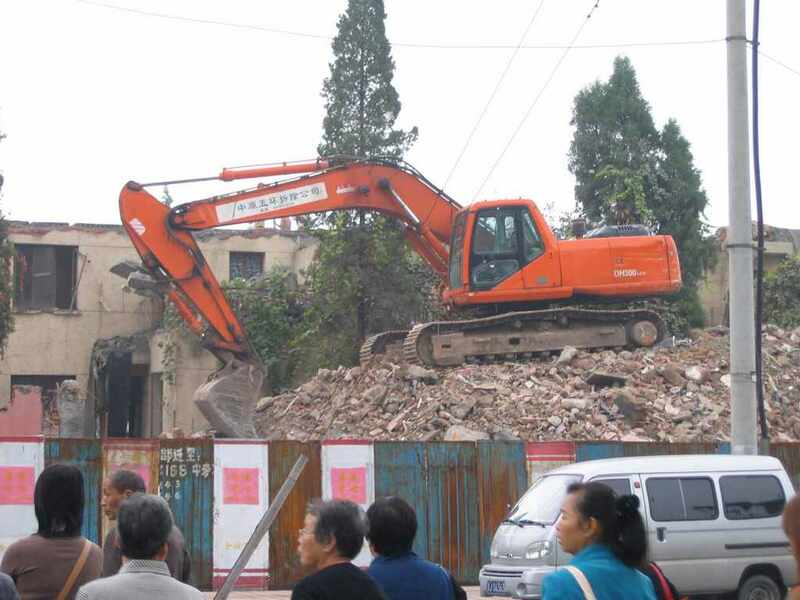 There was plenty of construction and demolition going on whilst we were in Beijing. In all kinds of places things were going up and down, to get things ship-shape for the Olympics, no doubt. One of the most unusual constructions is the new headquarters for CCTV, the largest TV network in China. It will be formed by joining two towers at the top but with two sections that meet at right angles rather than a basic straight bridge. 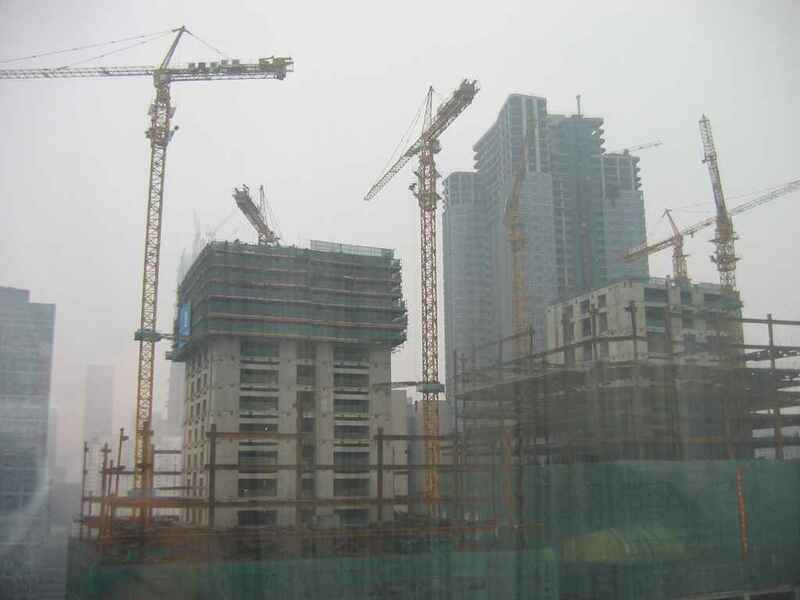 This essentially means that a large portion of the building's mass is not directly over the foundations of the towers. Here's it's current progress. Follow the link to see what it'll look like once completed. I'm sure it was a nightmare getting the design right. 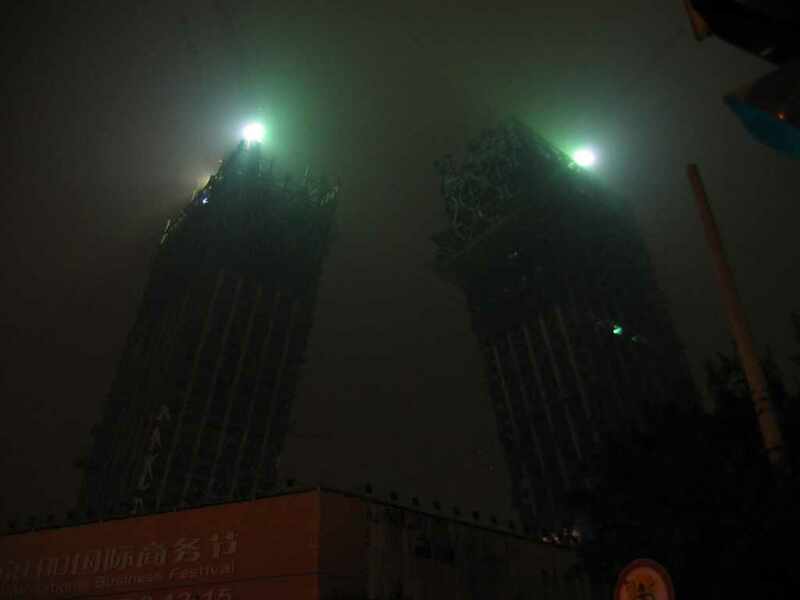 China construction zones can be so crazy. Often there's power lines, piles of rubble and all kinds of danger going on. 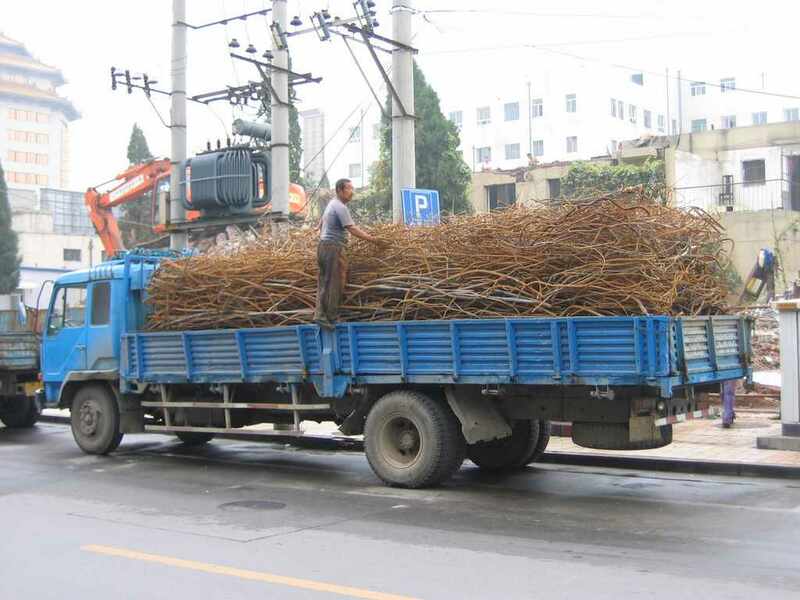 This truck loaded with concrete reinforcing rods from a demolition just next to a power transformer was a classic example.